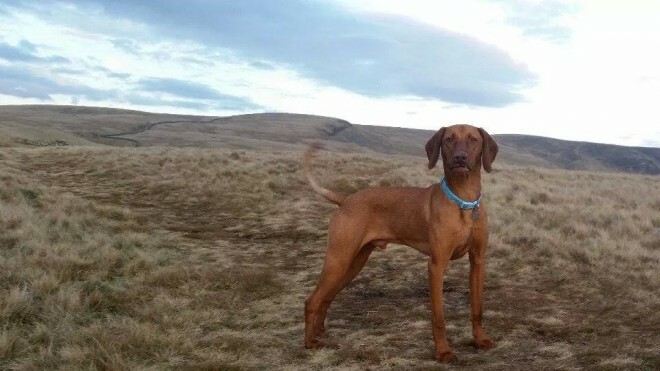 Proven Hungarian Vizsla For Stud. Max .Reidolvalley heartbreaker . is our Handsome muscular Hungarian Vizsla dog . He is KC Registered with an Excellent Pedigree. He has been studded several times now producing an average litter of 9 puppies .His colour is a much sought after darker russet colour He is a handsome muscular dog in his prime.He has a lovely temperament.he is a gentle dog with an extremely affectionate nature. He is our much loved family pet who also loves working with my husband during the shooting season. Please feel free to contact us for any more information or to arrange to view max.